Our Christmas Party 2019 brochure is now available by clicking here! Looking to book your office Christmas party 2019 in Bournemouth or Poole? What better place to celebrate the end of a busy year with your friends or colleagues than at The Riviera Hotel Bournemouth. 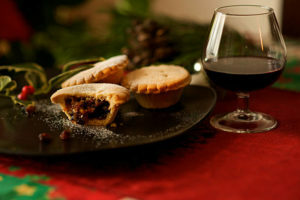 We offer one of the best and most popular Christmas Party 2019 deals in Bournemouth and Poole and we are passionate about making your event a success! Free party place & free overnight stay with breakfast for any organiser booking at least 40 guests. 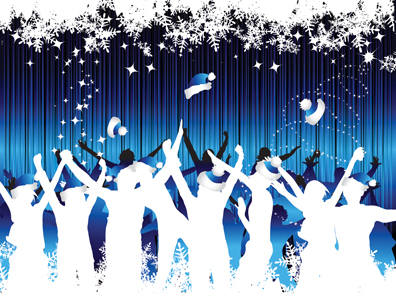 Our Christmas Party Nights are hugely popular- whether you want an exclusive bash with your own theme or a shared event in one of our transformed party venues – let us do the hard work for you! Click here for the Cunarder Christmas Party Menu or here for the Mauretania Christmas Party Menu. Christmas Party Lunches available throughout December from just £18.50pp. Check out the menu here. Special Bedroom Rates for all Christmas Parties at the Riviera in Bournemouth. Save on taxis and stay the night from just £23pppn! Accommodation rate Sunday to Thursday £29pppn B&B or £23pppn room only. Friday and Saturday £38pppn B&B or £33pppn room only. Prices based on 2 people sharing. Single supplement applies. Unable to celebrate your Christmas party in December? Not a problem! Here at The Riviera we can provide amazing Christmas Parties in January!